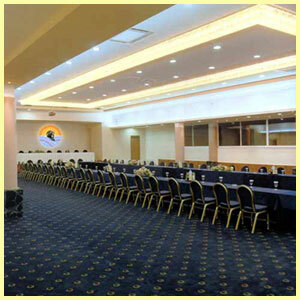 NEPTUNE HOTELS RESORT provides a new conference destination with character. At the NEPTUNE HOTELS RESORT, a delegate will experience an environment designed for both business and pleasure that effortlessly blends the two with close attention to the small details. From the beautiful appointed guestrooms and amenities to the ergonomically designed Meeting Rooms and dedicated staff, it all comes together to provide a stay that is both productive and relaxing. Whether you have a group of 6 or 1.400, one of Neptune's Conferences Rooms will suit your needs perfectly. Each one set a standard in comfort and communication technology. And should your meetings turn into a late-night brainstorming session, smaller breakout rooms are available around the clock. Neptune meeting and exhibition facilities are strategically so as to ensure privacy as well as accessibility, catering for anything from Corporate Meetings to International Conventions. The professional table system helps delegates work better and the ergonomic chairs are designed to ensure ease and comfort.